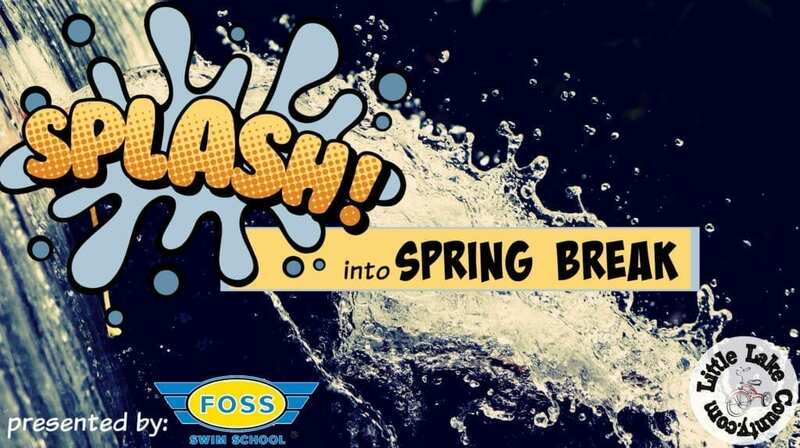 Our Gas Tank Getaways: Spring Break Edition is fueled by Foss Swim School. Follow us all this week for splash-tastic ideas for your own Spring Break road trip. 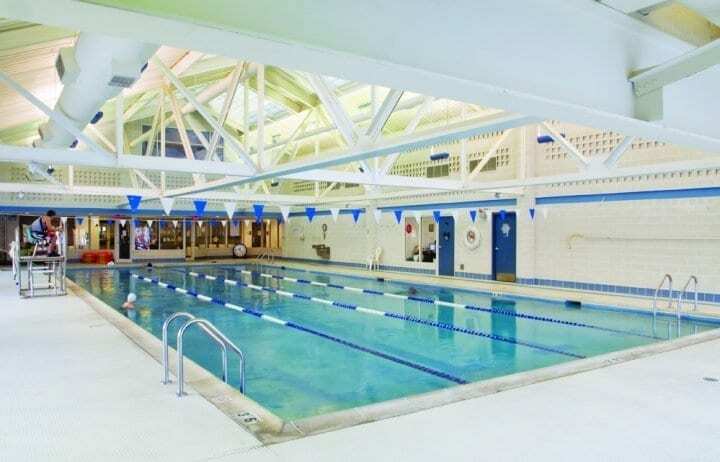 At Foss Swim School, they recognize that learning to swim is a life-saving skill, especially for vacationing families. The Foss program is structured to teach the fundamentals that lead to independence in the water. * Parents of a Foss student can feel confident knowing their child has been taught the basics of water safety and are building skills towards becoming a strong, safe and confident swimmer. * Swim instruction does not replace parental supervision. Please remain vigilant when enjoying the water with your family. If you are a parent, you know that traveling is hard work. Typically squishing a family of five into a hotel room means a lot of stress and not much sleep. But when you need a break from the depths of a northern Illinois winter, where can you go to feel tranquil 87-degree breezes, warm waters, and get away from it all? My family hops across the border to Timber Ridge Lodge and Water Park at the Grand Geneva Resort in Lake Geneva, Wisconsin. It’s close to home, very affordable, and perfect for all ages. When you drive through the welcoming gates and down the rolling driveway, it feels like you are entering a luxurious destination. Take your first right to enter the Timber Ridge portion of the resort, and you and your family will be transported to the great north woods. 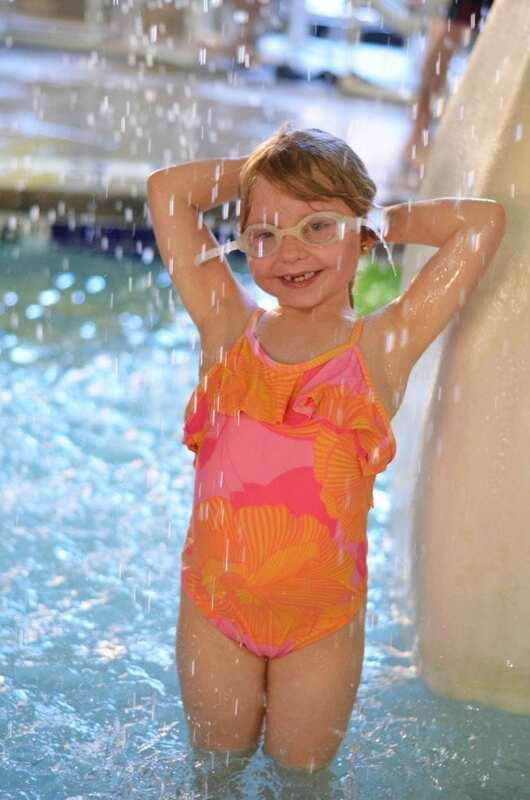 After you check into your room, put your swimsuit on and dash down the hallway to the mid-sized indoor water park! For my 12-month-old, the zero depth play area is right up her alley. She loves the little bitty slide and the infant swings that sway over the water. 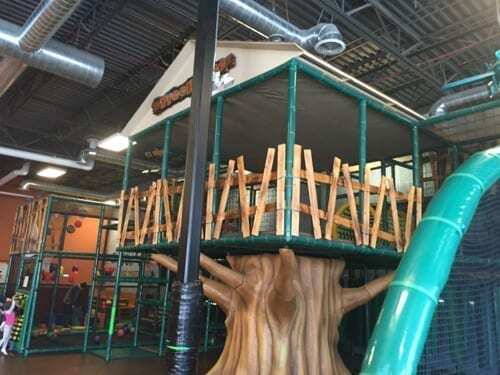 The 90-degree water only gets about a foot deep, and leads up to the soaring tree house that has two child-sized slides that splash into the warm water. 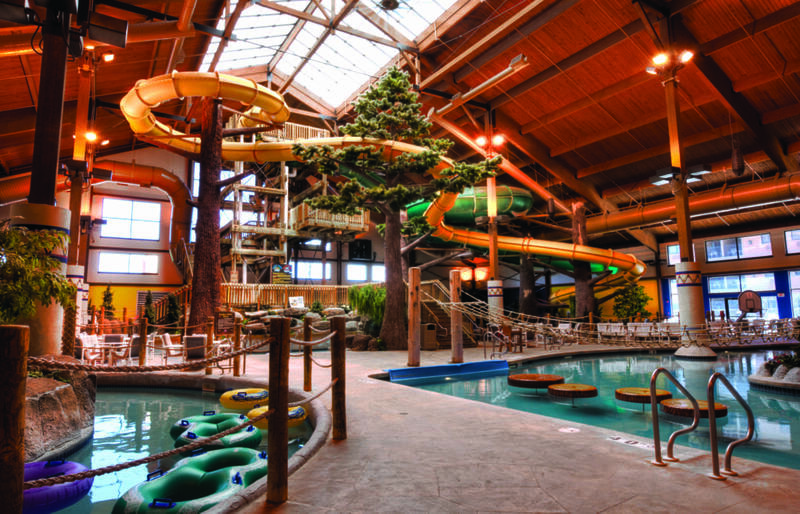 Our middle daughter would rather lounge in a raft on the lazy river or hang out in the hot tub that’s both indoor and outdoor (can you blame her?) She loves being able to swim through the opening to get outside of the building without ever having to leave the bubbling, warm water. 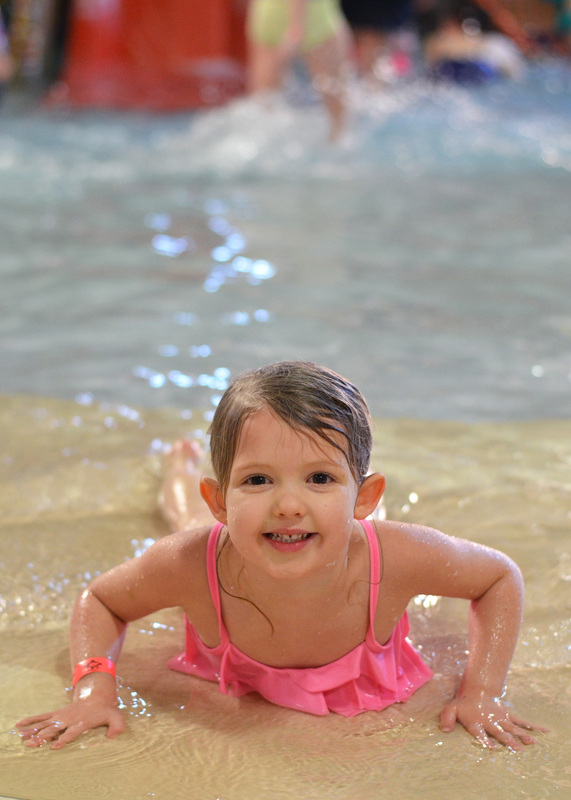 My seven-year-old is more of an advanced swimmer and she loves sailing down the plunge slide, traversing floating logs, and flying down the inner-tube float slide with her dad. She can’t wait until she’s 48″ tall and can go on the more adventurous body slide. This mama-of-three’s favorite part is actually the attached hotel suite. The king bedroom, pull-out couch, and Pack ‘n Play slept our family of five with room to spare. My girls were thrilled we could watch their favorite movies on the DVD player, and I loved relaxing in the double whirlpool bath. We brought snacks, a simple dinner, breakfast items, and sandwich fixings to eat in the full kitchen (which includes a microwave, stove-top, full refrigerator and dishwasher–no oven) and never had to leave the resort. The best part was, when the baby napped, Daddy took the big kids to the water slides and I got to read a book in peace by the fireplace in our room. If you aren’t into DIY, there is a poolside snack bar that offers grab-n-go breakfast items, deli salads, wraps, pizza, burgers, hot dogs, and adult beverages (yes, you read that right–a full bar, poolside.) Smokey’s Bar-B-Que House is more of a sit down restaurant that’s on the property. 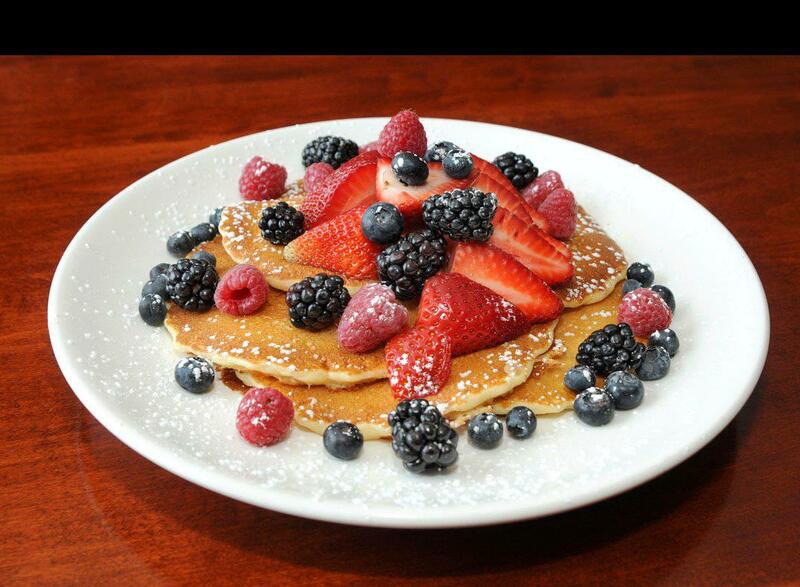 Open for breakfast and dinner, their entrees are also available for carry-out if you’d rather eat in your suite. 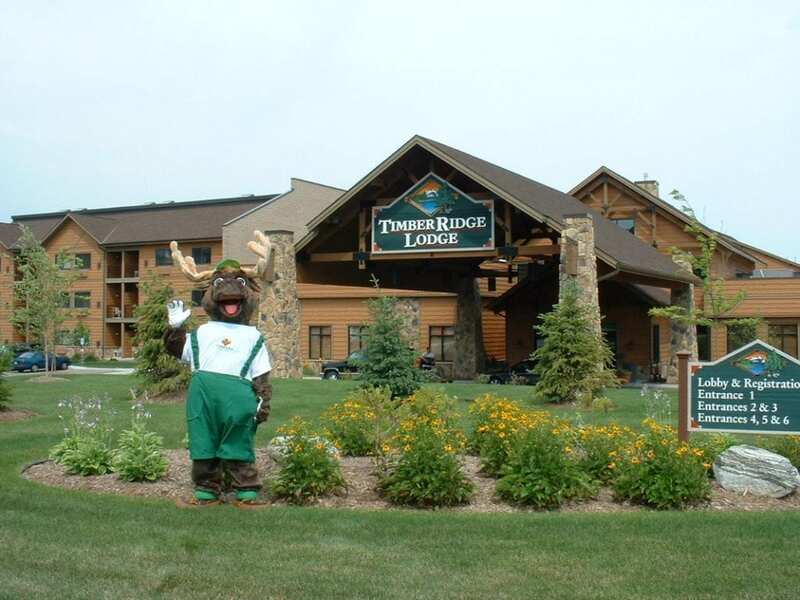 If you are wanting to venture beyond the water activities, the Timber Ridge Lodge is on the grounds of the Grand Geneva Resort which also offers a luxury spa, downhill ski hill, ice skating, climbing wall, petting zoo, two golf courses, horseback riding and more (weather permitting.) If you’re feeling water logged, your resort fee includes a credit in their expansive arcade. 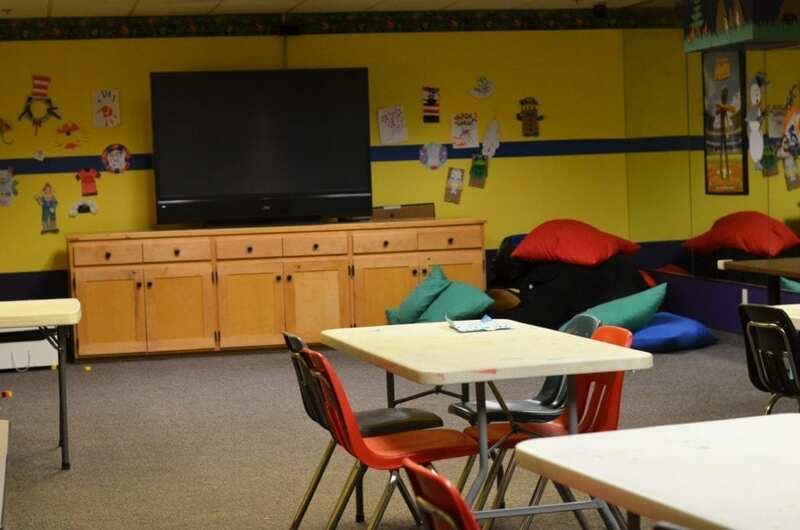 Timber Ridge also has a great activity room with free crafts, activities, and family movies scheduled throughout the day. If you’d rather just make a day trip, Timber Ridge offers a Day Package that includes wristbands and the use of a suite for 10 hours. It’s a great way to spend the day! Things to leave home: life jackets, beach towels, pack n play, high chair, your blender–they have it all. Things to bring: flip flops, swim suit, DVDs, snacks and simple meals, a good book. For a smaller-sized, incredibly friendly, clean, and FUN water park that is super close to home, just hop across the border to Timber Ridge! Foss Swim School offers a year-round program that is session-based by season and includes Winter, Spring, Summer, and Fall sessions. Each session offers Weekly Swim Lessons, 4-Week Progress-Builder Swim Camps® and/or 2-Week Progress-Builder® Swim Camps. Each option is designed to give families, instructors, and most importantly, your swimmer a definable time to focus on swimming. Seasonal sessions are more effective than continuous programs and deliver predictable, quality results. Spring session starts on March 13th, registration is now open!